Thanks for sharing the info, info! 🙂 There are so many cards worth keeping an eye on. Without the automated crawling we once had, the best speculators can do now is just do a manual search for cards of interest on a daily basis. Everyone has their specialty and focus area, and they should leverage their strengths. Sounds like you hit a home run on your foil Omniscience. Well done! No idea who that friendly colleague might be 😉 (no, not me). SCG is still quite crawlable, though it did get more and more difficult, but, they were very clear in indicating they didn’t want it to happen. I know our friend decided to respect that. It’s no surprise when SCG has lower stock of less printed sets. I really don’t think you can draw conclusions from Alpha Pearls being out of stock when there are supposedly only 1100 in existence (many of which will not be NM). 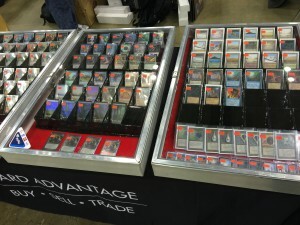 They may not be offered to SCG at any reasonable price. There are about 15 Revised copies for every 1 Unlimited Dual, so if anything SCG seems to have a high number of Unlimited copies in stock. Where print numbers are known I would certainly take them into account. Print run is definitely a factor worth exploring as well. Thanks for mentioning it. It’s a factor but not the only factor. I would argue print run should be irrelevant when it comes to keeping cards in stock. There may be 1100 Mox Pearls in existence, but that’s no excuse for the largest retailer in the world to have at least 1 available. (To be fair, they may have had a graded copy available). I firmly believe that if they remain out of stock long enough, even on Alpha, they will up their buy/sell prices until they have a copy or two available for sale. It may take months, but I believe the trajectory is likely to be upward. Thanks for commenting and for building on my article! Wasn’t fishing for a compliment ;). I was helping out our friend at the time, just wanted to share some of what I remembered of it. I believe that at some point rarity will make it all but impossible for shops to carry everything. Imagine a shop wanting to carry the full Summer set for example. Now Alpha Pearls aren’t that rare, so perhaps they should want to have them in stock at all times, but we may reach a point where the price of obtaining one may actually become too high to feasibly make a good enough profit on them. We probably haven’t reached that point yet. I felt that print run information was more pertinent to the Duals comparison as it seems SCG actually has many more Unlimited copies than one would expect. To me that implies the Unlimited copies may be a bit too expensive and if anything I would expect a discount to be coming there (though I could see them not being in a rush to sell them and just leaving them at this price). Wow, I knew that SCG really drove prices but to make it a point to regularly check their prices as adamantly as TCGPlayer is something that I never considered, mostly because I believed that TCGPlayer drove the “true” market more than SCG. However, for the prices of power and other high end cards like Bazaar it is totally worth it to check out, especially since I’m in the market for these types of cards now in order to capitalize on my Modern hits like Inkmoth Nexus. I seem to be somewhat in the minority but I’m extremely disappointed with Origins; but I think it’s because of what I was hoping for…”a return to magic origins”!!! I was hoping Wizards would send the core sets out with a bang and revisit the 1 drops for 3…Healing Salve, Dark Rit, Recall, Giant Growth, and Bolt. I really wanted an updated and “fair” but powerful one drop cycle in Origins and I’d love for you to comment on whether or not you think they should have. This basically was my hope: W- Path to Exile, U – Serum Visions/Ponder (last in M12)/Preordain (in M11), B – Inquisition, or Dark Ritual (or Thoughtseize again), G – BIRDS!! (how can green go out with such lame mana producers in the final core set? ), and R – Lightning Bolt!! Again, I was hoping Origins would go out with a bang and if you notice almost all these cards are already Modern Legal and could use a reprint. Path in Standard is great but helping your opponent ramp early game is a fair trade off, Serum Visions is just too darn expensive for the worst one drop cantrip, Inquisition would actually seem underwhelming in Standard (it hits all the new walkers tho) but that might be it’s best case to be re-printed, Birds isn’t expensive and it would just make sense to have that as the Green one drop reprint (or Noble Hierarch), and I don’t think they can print enough copies of Bolt…make it a rare, people will still be happy to open it and draft it. So what do you think Sig? Did Wizards miss the boat with Origins and make it too safe? Am I really just hoping for too much out of Wizards’ creative staff? Am I totally insane? (the answer is yes to that lol). Most players I talked to loved my idea but they all said “that’s just too good”. For the last core set I think it would have been extremely justified. Can you really have too much of a good thing for the last core set??? Hit me up man, curious to hear your thoughts. Valid questions – these thoughts all ran through my mind as well, though in less depth. I fully expected Origins – the last MTG Core Set – to be a lookback at all the amazing cards printed in Core Sets of the years. Instead, we got what appears to me as a regular Core Set. I suppose when WOTC used the term “Origins” they were referring to story arch – how the Planeswalkers got their spark, their youth, etc. So more of a story-related Origin rather than a game-related Origin. As a result, the set doesn’t excite me any more than any other recent set. I don’t find myself eager to go out and buy a booster box. Sounds like you’re in the same camp. But I think we were expecting something like a Time Spiral or Planar Chaos type set, which Wizards has indicated were not hugely successful. So I think this is the best we’re going to get for new MTG sets. Certainly Origins didn’t help Core Sets go out with a “bang” in my opinion. 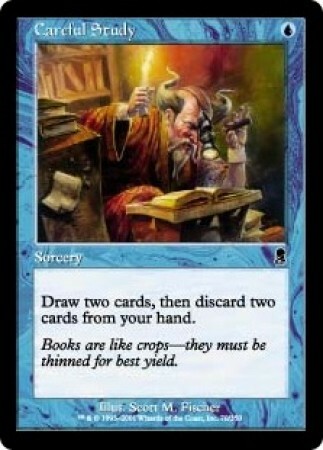 But it’s a solid set, and I do think you underestimate the impact some cards will have on constructed play. We’ll have to wait and find out. Thanks for the response Sig. Yeah I won’t be buying and stashing many if any of these boxes 😉 There’s a few cards that seem extremely impactful, like Hallowed Moonlight is a White Counterspell to Collected Company!?!?! Seems rather silly to me. And I have high hopes for Harbinger of the Tides in Eternal formats. But there’s no Ultimate Prices, Anticipates, God’s Willings, or better in this set (i don’t think). I guess there’s Smash to Smithereens lol. Maybe there’s an elf or 2 I’m overlooking. So I agree with you, it’s just a core set that follows the origins of the 5 Walkers, not Magic’s Origins. I’m sure it’s not terrible, but by being so underwhelmed with the list of cards it just feels bad right now.